The original very soft and highly compressible seal. These deform over time from being pressed up against the edge of the lip around the openings, which is the lengthwise indentation seen here. 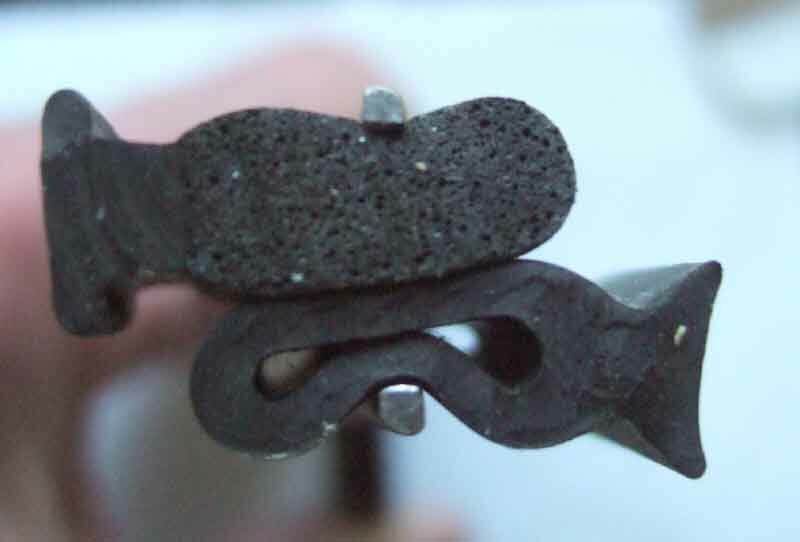 The sponge seal from other sources, much denser than the original. The foot is also thicker making it more difficult to slot into the channel. 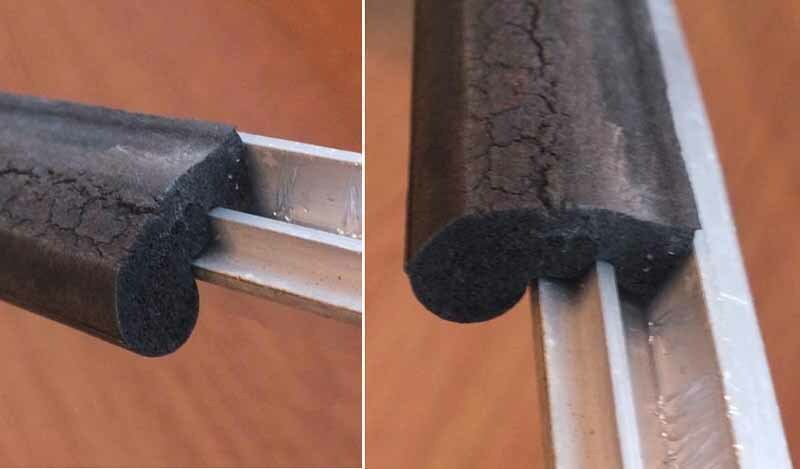 Placing the two side by side and pinching them you can see that the hollow seal has collapsed to about half its thickness whereas the sponge seal has barely moved. 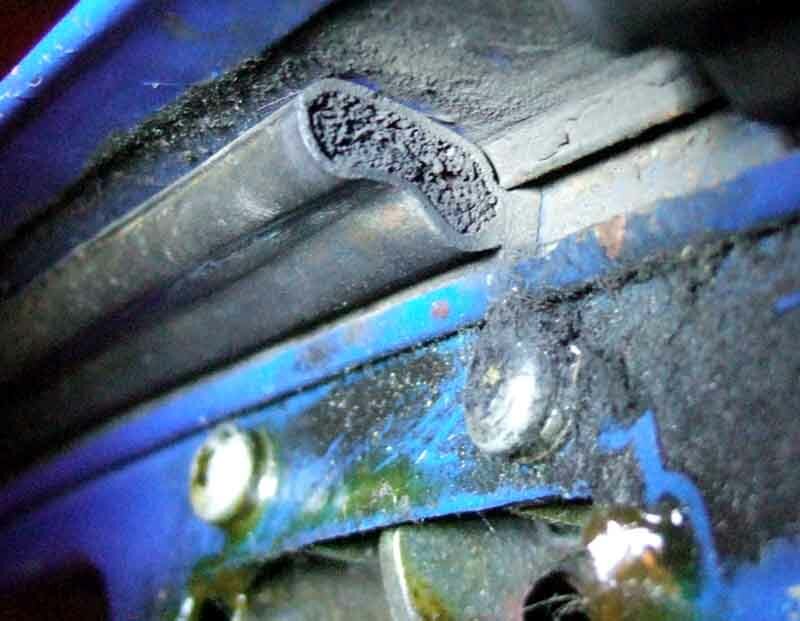 Detail of the tailgate seals from the Gaydon cutaway. 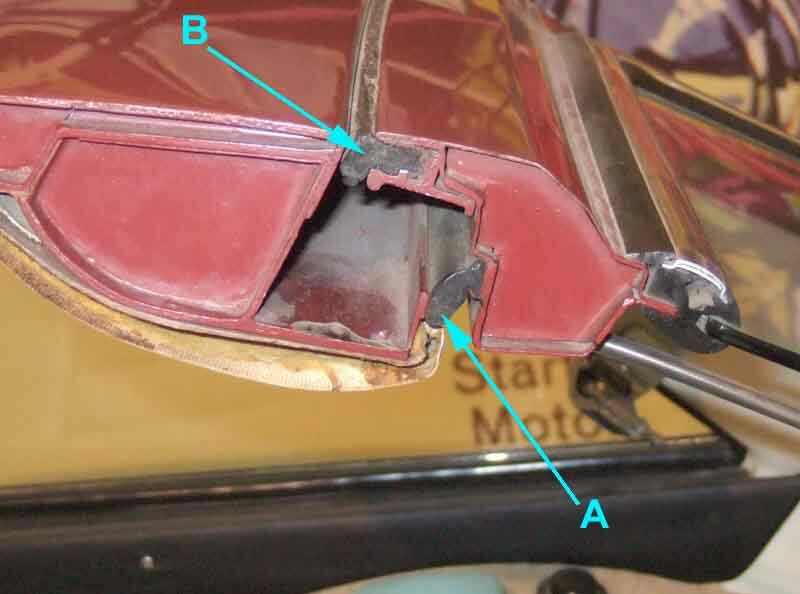 The full-length seal (A) slots into a channel, and the part-seal (B) is clamped by an alloy extrusion (painted body-colour here but bare alloy ordinarily) screwed into the top edge of the tailgate. The sides of this seal are retained by gluing to the panel, and by the full-length seal. 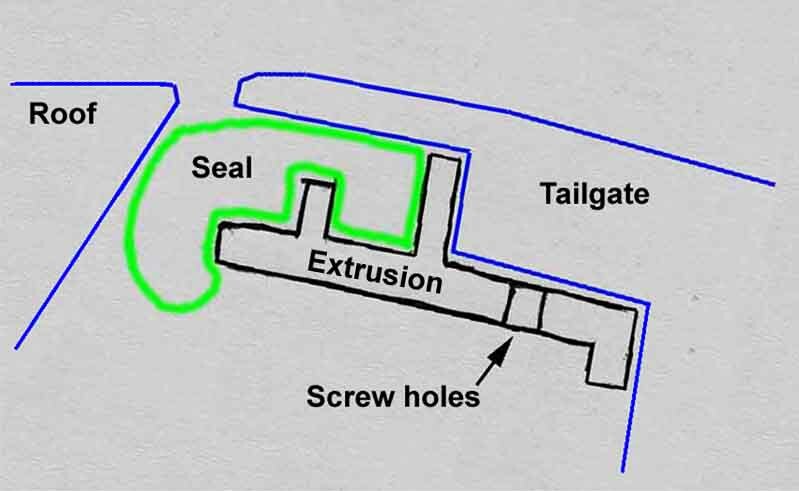 Graham's sketch of the extrusion, with additions.